Lao Shuan-ren is a Tzu Chi volunteer who dedicates himself to filming the work of the foundation. For the last 10 years, he has covered many events for the Da Ai Television station and recorded the history of Tzu Chi. One of the most moving moments came in 2003, after the outbreak of SARS shook the world. On March 23 that year, he had bought a new video recorder. He was assigned to film a hospital, He Ping, that had been chosen to treat SARS patients; it had been locked down. As he went there with other volunteers, people told them not to go, saying: "You are going to your own death!" 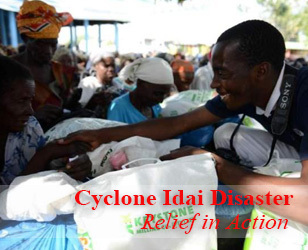 The volunteers replied: "we are not going to our death, we are going to rescue other people!" This answer calmed the nerves in Shuan-ren's stomach; he was filled with a sense of duty and a desire to help. “We are not there to be sacrificed but for a rescue mission,” he said. When he reached the scene, he was given the full protective, including gowns and N95 masks. After being briefed, he started to film the exterior of the hospital. At that time, the patients' families were registering with Tzu Chi volunteers to pass items to their family members quarantined inside. Some even prepared extras as gifts for the Tzu Chi volunteers. These tiny gestures of love were like the lights of candles that will be part of the stories for "Great Love Shining Bright" program on Da Ai TV station. At the end of his shift, Shuan-ren was very impressed by the Tzu Chi volunteers in their uniforms who moved in a tidy line into the volunteer area. Their gentle movements and impressive sense of duty and respect made them look like Bodhisattvas who had flew down from heaven. From that moment, he pledged to be a certified volunteer of Tzu Chi Gaith Corps and a disciple of Dharma Master Cheng Yen forever. Shuan-ren is a member of Tzu Chi's documentation team from Tailin, New Taipei. In 1991, he married Miss Liew Wen; they have a son and a daughter. He works in a customs brokerage at Taoyuan Airport, which is operated by his parents. Since he was young, he has had a strong interest in photography and often recorded weddings of his friends on a V8 video camera. He joined Tzu Chi in October 2002; the Da Ai television station was recruiting students for free photography volunteer training; he joined the classes immediately. During the training, he was touched and inspired by the media volunteers from all over the world, including senior citizens who were the age of his grandparents as well as disabled people, who joyfully dedicated themselves to the September Taiwan earthquake recording project. Joining Da Ai’s media training was a milestone for him; he realized that doing media work would allow him to see all the touching deeds around the world. By recording real human interactions, he could share the experience of others and be constantly reminded to improve himself. Later, he traveled from Linkou to Tzu Chi Chongshan liaison office in Taipei right after work to learn from senior volunteers about film editing. After he learnt how to edit, he could do everything by himself – he could witness and record Tzu Chi’s “beauty and goodness”. He could record the history of his time. Films, articles, production and recording are all closely linked. Through many experiences, his work has attained a higher level of professionalism, in telling stories of truth, kindness and beauty. He did one personal interview of heroine Wu Shi, who was paralyzed from a fall. When she went on stage to share her story of recovering from sorrow, finding strength and being thankful, he was crying in empathy as he recorded downstage. 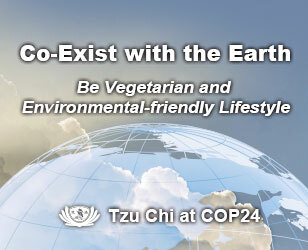 Such extraordinary strength and human perseverance could only be truly experienced after joining Tzu Chi. 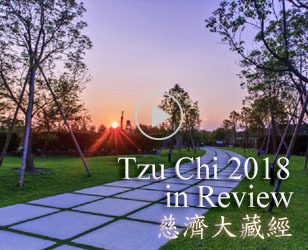 Multi-media volunteers have the great mission of recording the history of Tzu Chi and leaving a record of these changing times. Therefore Shuan-ren has retained his initial inspiration and ambition, to record humanist culture. "An open heart brings good fortune" is his favorite Jing Si Aphorism. Whenever obstacles appear, as long as we open our hearts and sincerely look for others, many helping Bodhisattvas will come and solve the challenge. Shuan-ren can still remember clearly how strongly his wife objected to his joining Tzu Chi at the beginning; she feared that he would neglect his family. Shuan-ren made a secret vow: "If my wife allows me to volunteer with Tzu Chi, I will fight to do all the house chores" He changed himself, making his wife's feelings as his first priority. Even just a half-day outing was deeply moving for his wife. He also often called her parents to talk to them; the family was always filled with joy and love. Shuan-ren's mother is an enthusiastic recycling volunteer, despite being over 70 years old. After he finishes work, he rushes to arrange recycling bins and plastic storage bags. "I don't know how much longer I can do recycling with my mother. As long as it's what she loves to do, I will be happy to do it with her." Shuan-ren is an understanding and supportive son. He learnt the enduring strength of patience in Tzu Chi and has since used it to love his parents.